How to show all stickies with scoop? But I don't know which tag to use to specify "all" stickies. The scoop GUI has the option, but can it be done from the command line? Re: How to show all stickies with scoop? 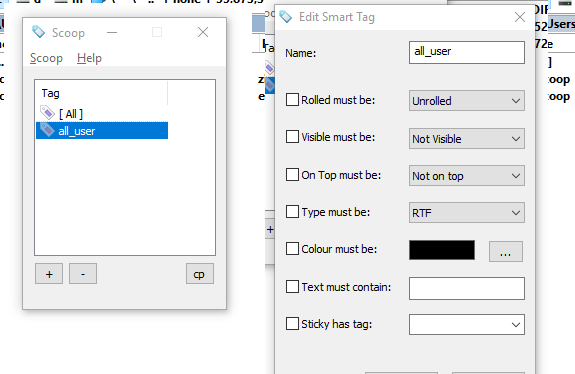 Using spaces in a commandline parameter is tricky it seems to work on my system but i would rather avoid it ,you could create your own "all" smart tag by not marking any condition and use a smart tag without spaces .